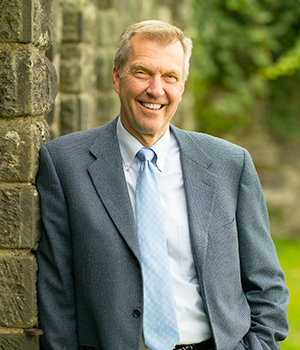 aul W. Meyer, The F. Otto Haas Executive Director of the Morris Arboretum will retire from his position in spring 2019. This page captures memorable moments from Paul’s 43-year legacy. Enjoy photographs, interview excerpts, and an interactive timeline which highlight the many accomplishments from this extraordinary tenure. Be sure to register below to join us in bidding Paul farewell during a special public reception! upon his retirement from the Morris Arboretum. Advance Registration is required. Kindly register by March 22.
of the Arboretum can be sustained in perpetuity. Consider making a donation to the Arboretum in honor of Paul. in the Development Office at 215-247-5777 ext. 131. What started as a single plant exploration trip by Paul and several colleagues has led to an international collaboration that may well protect and preserve our landscapes for years to come. Paul Meyer's sabbatical at the University of Edinburgh was the inspiration for the staff development program he established and, with his wife Debbie, have endowed over the years. Paul Meyer describes the genesis for the Arboretum's internship program, which now serves as a national model. Paul Meyer reflects on the emergence of a new idea in the Arboretum's stewardship thinking. Rather than focus on deferred maintenance, why not focus instead of historic preservation.